The 19th International Indian Film Academy (IIFA) Awards took place on June 24 in Bangkok. The evening saw a spectacular melange of glitz and glamour with Bollywood’s crème de la crème, global dignitaries and world media in attendance at the reputed Siam Niramit Theatre. But, it was also an emotional night for the Kapoor family as the late actress Sridevi was honoured at the awards ceremony. Producer Boney Kapoor, Anil Kapoor and Arjun Kapoor were present to receive the honour. 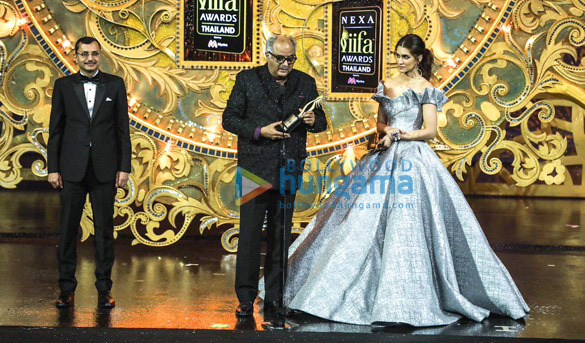 Boney Kapoor accepted the Best Actress award on behalf of his late wife and legendary actress Sridevi for her role in 2017 crime thriller, Mom. Sridevi, who passed away on February 24 in Dubai, was honoured posthumously. 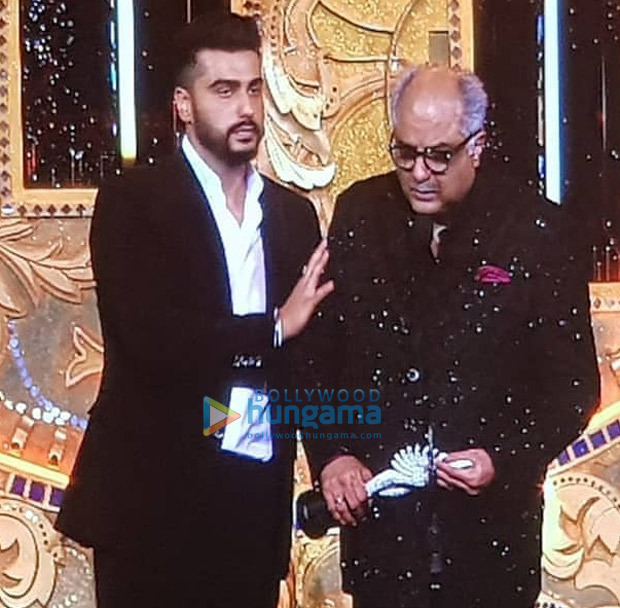 On stage, Boney Kapoor could not hold back his tears as he accepted the award. “I miss her every moment of my life,” Boney said as he wiped his tears. 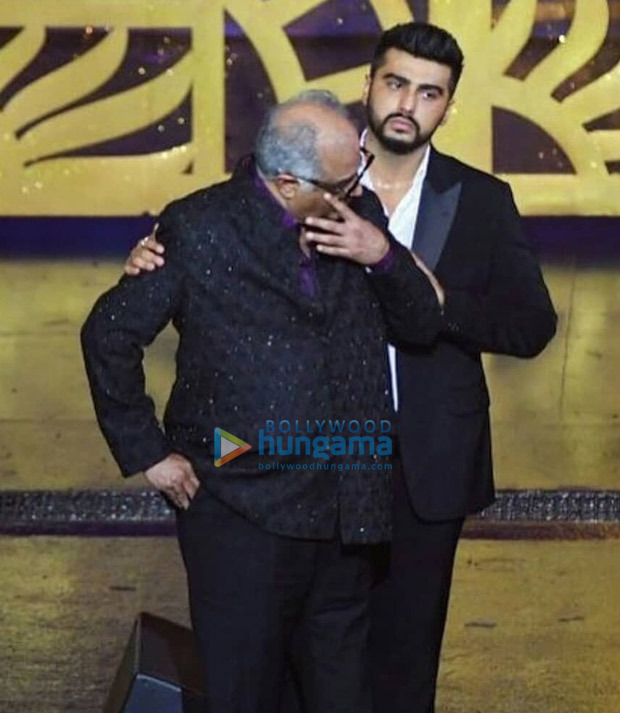 His son Arjun Kapoor was by his side as Boney Kapoor gave the speech. 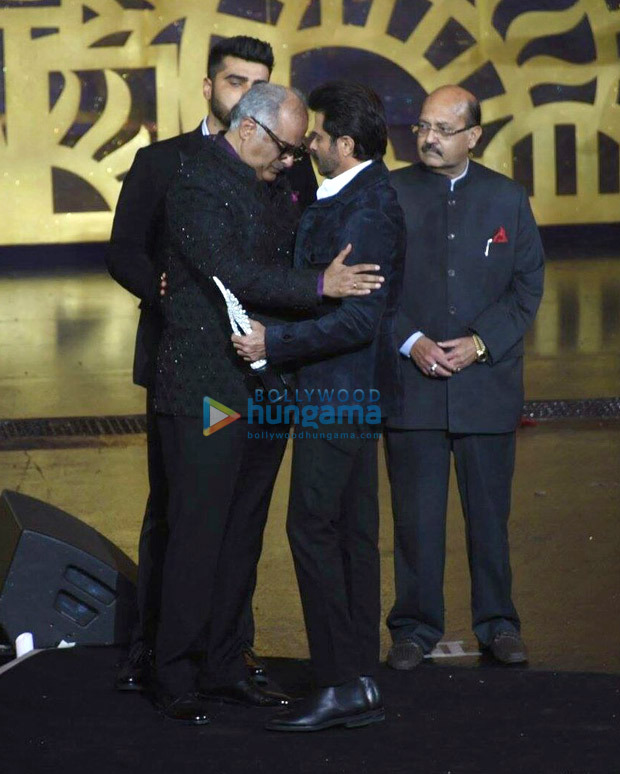 Few moments later, Anil Kapoor also came on stage as he touched elder brother Boney’s feet and gave him a hug. He too was very emotional as he spoke kindest words for his Mr India co-star and sister-in-law. “She was a true genius. The country, the world and our family misses you,” Anil said. Earlier this year, Sridevi was felicitated posthumously with the Best Actress award for Mom at 65th National Film Awards held in New Delhi. Why Is Pharrell Williams Wearing A Surgical Mask? Friendly Arab? Nope – It’s Ricky Martin!